If you search for the recipe online, you’ll find a few slightly different versions. But from what I can tell, all of the spice ratios are about the same, it’s the cooking style that varies. At Wayfare, the chicken pieces are sous vide with herbs before they are fried, so the restaurant version achieves this insane moisture, flavor and crunch. I don’t think the home version can touch it, but it comes surprisingly close. I set out to make this dish with just the simple brine described below, spiced crust and traditional fry method. However, my younger sister told me to try Florence’s alternative method that’s supposed to mimic sous vide: bake the herb-smothered chicken pieces in a 200-degree oven for about 2 1/2 hours before the batter and fry. Both were delicious, but for me the clear winner was the pre-fry oven baked. I served this with a watermelon, tomato and feta salad and it was a knockout combo for game time. Oven Baked: I chopped up about a tablespoon each of rosemary and thyme, and rubbed it onto the chicken skin with some olive oil before baking. While I did have to allow for some lead time for the chicken to bake and cool (it must be cool enough to handle before you batter), it still took less time than brining overnight. Frankly, for the chef, it just felt simpler to bake it first rather than having to fish chicken bits out of a bowl of brine water and dry them. Another plus was that the fry time was cut almost in half, to about 6 or 7 minutes. Which meant chicken was in our mouths faster. Finally, I think all the eaters agreed the flavor just popped on this one. I think baking it with the herbs really sealed the flavors, so you got them in the meat, and in the crust from the herb oil. 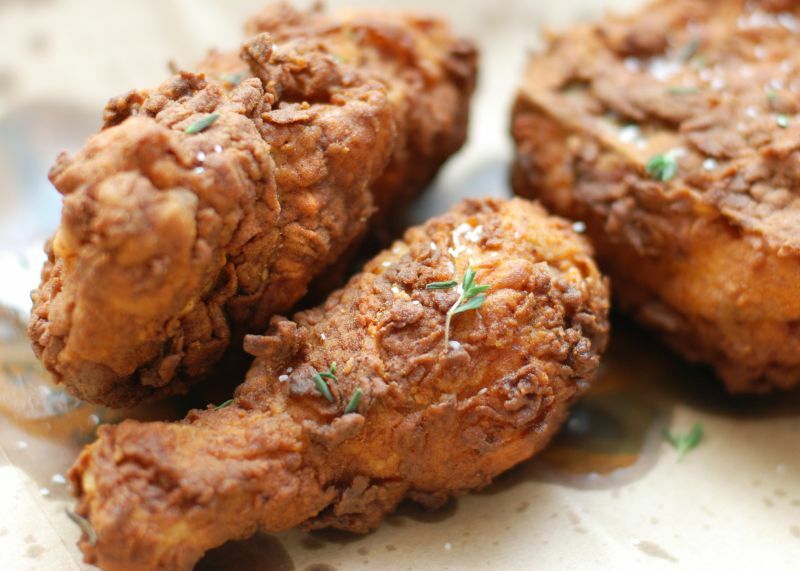 Brine and Fry: Renders completely juicy and lovely chicken. One could argue this version take less active time than the oven baked version since you simply drop it in a brine and forget about it overnight. Definitely a classic technique that delivers every time. Salt the chicken when it comes out of the fryer. Don’t skimp on the lemon garnish. 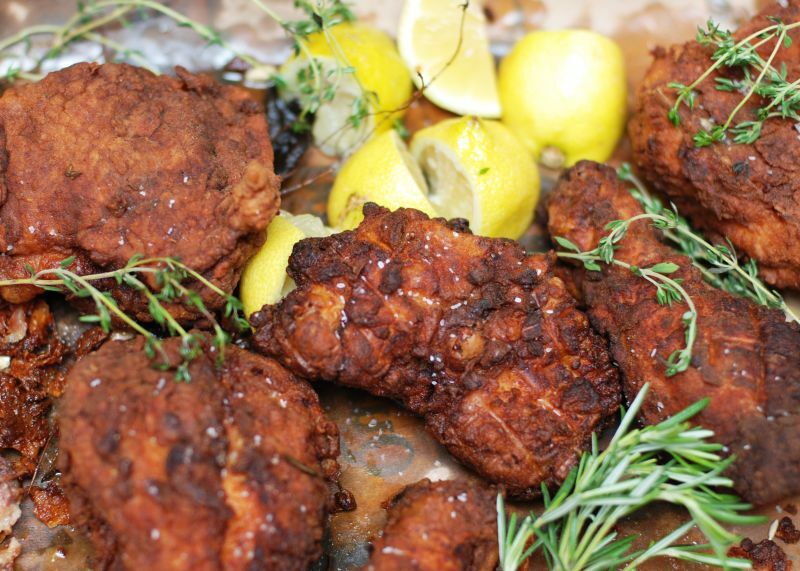 It makes the whole dish bright, and adds that acid the fried coating really needs. 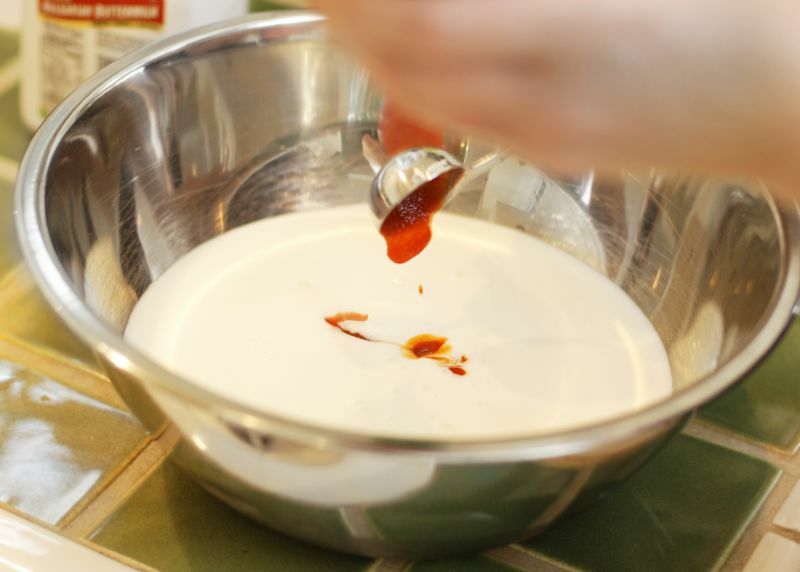 I like more spice, so I dumped more Sriracha into the buttermilk after the first batch. 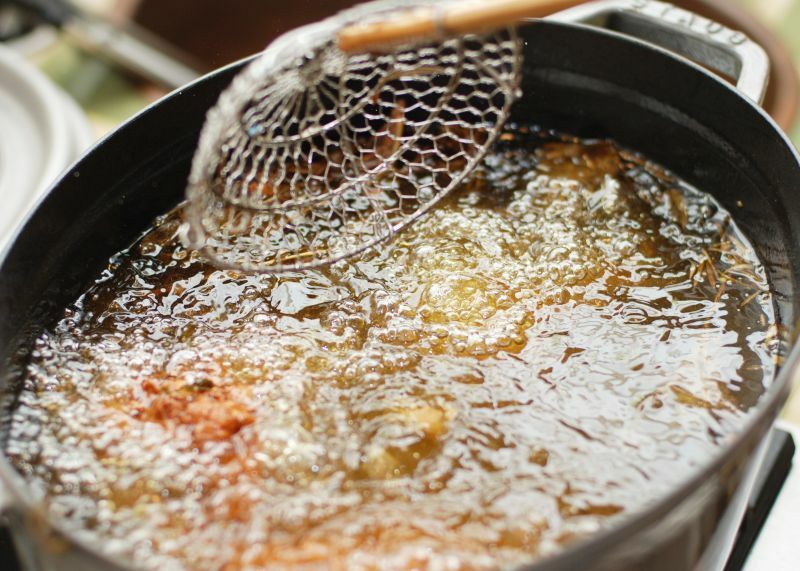 Once you’ve battered the pieces, be sure and let them rest for 5 to 10 minutes. This lets the coating really set so it won’t fall off during frying. Keep the oil hovering around 360 degrees F while the pieces are cooking. My first few pieces went in at 380 degrees, and the crust became very dark and overly crisp. Invest in a candy/fry thermometer, it’s worth it. Chicken is great hot, but even better when you let it sit and come more to room temp (if you can keep people away from the tray that long). Keep it warm for longer on a baking rack in a 200-degree oven. Note: This is the brine-style recipe, so if you’d like to try the oven baked, just ignore the brine instructions, and adjust frying time. tablespoon of salt for each quart of water used. Cover and refrigerate at least 2 hours or overnight. In a large shallow platter, mix the flour, garlic powder, onion powder, paprika, and cayenne until well blended; season generously with salt and pepper. In another platter combine the buttermilk and hot sauce with a fork and season with salt and pepper. Drain the chicken and pat it dry. Dredge the pieces, a few at a time, in the flour mixture, then dip them into the buttermilk; dredge them again in the seasoned flour. Set aside and let the chicken rest while you prepare the oil. Note: I removed the garlic at this point, since I worried it would burn.